How’s this for a spot of outside catering? We just love this photo, which was taken in Egypt, although sadly we cannot actually make out what is being cooked. Especially like the use of cars as improvised tray rests. If you took any good Middle Eastern street food pix on your holidays, do share them with us. Photo taken by Atsuto and shared under the Creative Common Licence on Flickr. 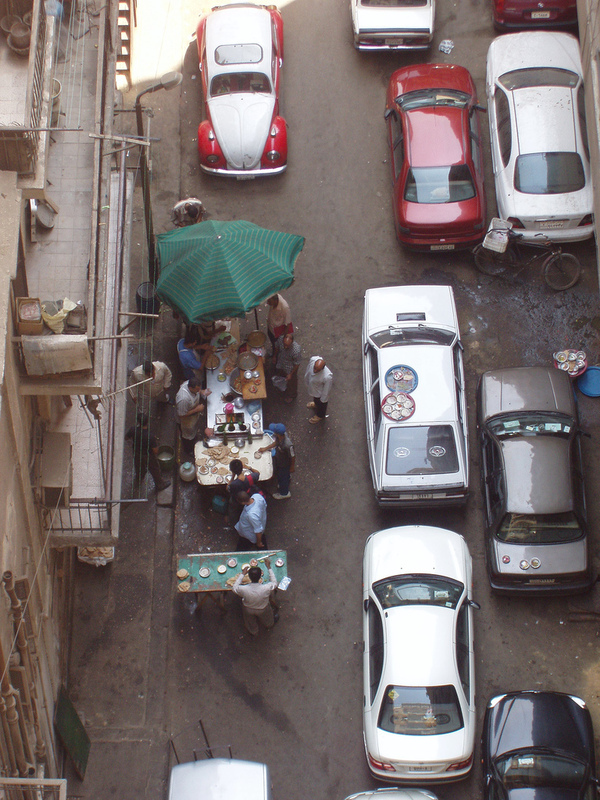 This entry was posted in Postcards from Snackistan and tagged Egypt, open air kitchen, street food on August 11, 2014 by Sally Butcher.